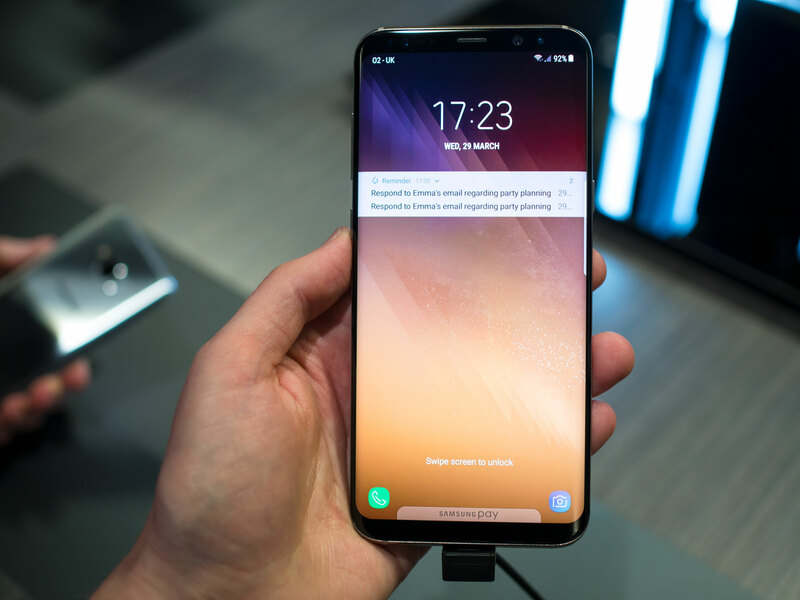 On the Galaxy S8, your Always-On Display, lock screen and home screen seamlessly flow into each other. 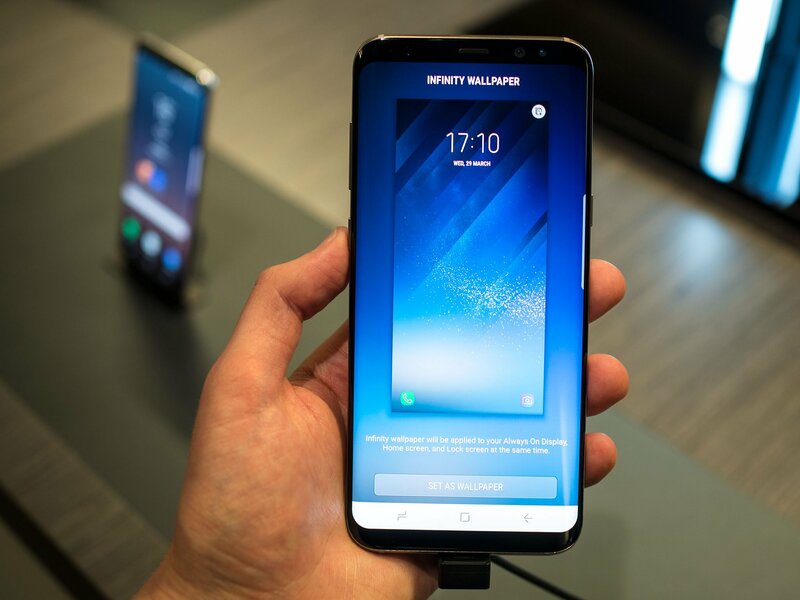 In the various online leaks leading up to the Samsung Galaxy S8 announcement, we got to see glimpses of the phone's new lock screen, home screen and always-on display, and it always seemed like there was something new going on with the way the GS8 handled the interaction between these three screens. 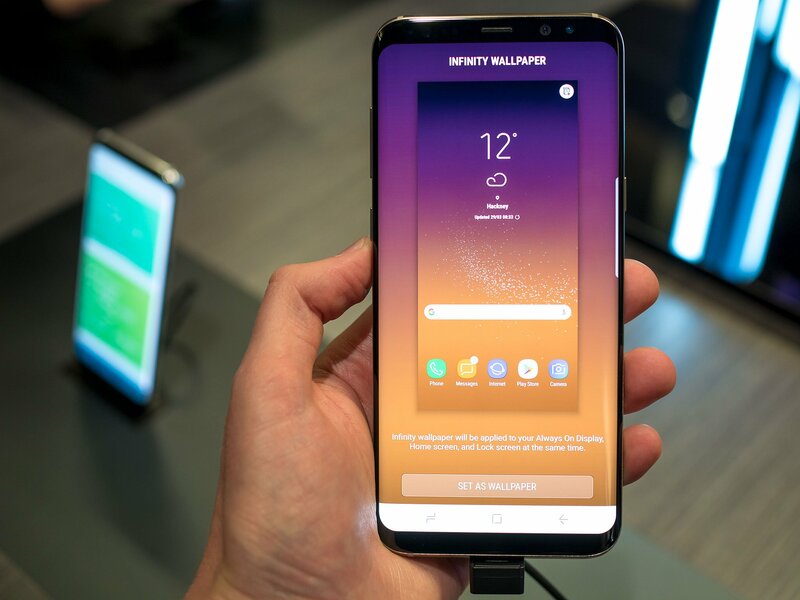 Android has had animated home screens and lock screens for years, thanks to the Live Wallpapers feature, but the GS8 takes this a step further with its new Infinity Wallpapers. And they're actually pretty neat. A three-in-one live wallpaper pack for each of the GS8's main screens. 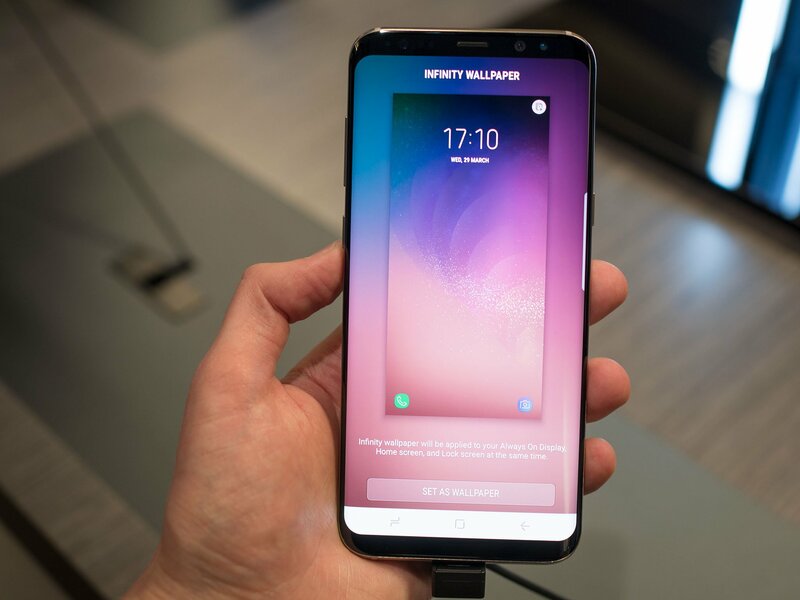 Infinity Wallpapers live in the Samsung Themes app, and they package three different live wallpapers together as one — for the Always-On Display, lock screen and home screen — with smooth transitions between each three levels. Raise a sleeping Galaxy S8 and you'll see the Always-On Display wallpaper, which is usually pretty barebones. In most cases this is a simple pixelated star field with some kind of colored glow in the background. Press the virtual home button and a swooping 3D effect will transition you to a geometric pattern surrounding the GS8's neat clock widget, and any notifications that might be waiting for you. 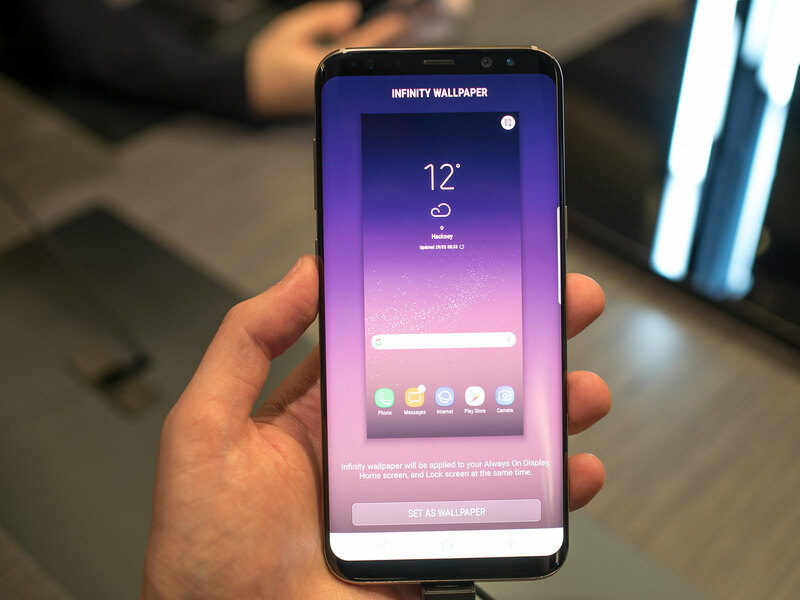 Then unlock the phone -— by swiping, using the fingerprint scanner, or scanning your irises — and you're catapulted into a cleaner colored gradient, with the same animated star field in the background. There's a dozen or so different Infinity Wallpapers loaded on the Galaxy S8 out of the box, with more likely to be accessible via the Samsung Themes portal in future. 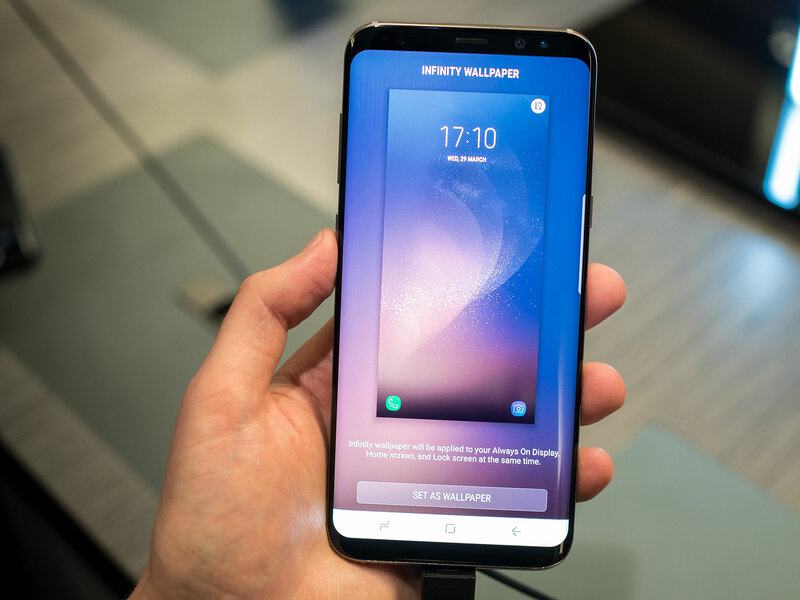 The company has largely shied away from animated wallpapers in the past, and these new Infinity Wallpapers add a futuristic sheen to what's already a very forward-looking handset.